Micro SD Storage or Cloud Storage? In this guide, a home security camera is a discreet, small camera that records people’s activities with the goal of detecting intruders and preventing crime. A home security camera can act as a third eye that you can leave at home and check at any time through your smartphone. You can set up a small, affordable security camera both indoors or outdoors as long as it is weather resistant. There are several attributes to consider such as resolution, wired or wireless, and which storage method the camera uses to store video such as a micro SD card or to the cloud. Home security is for everyone. People from all walks of life can enjoy the extra peace of mind that have security cameras can provide. A common misconception about home security cameras is that they are very expensive and the barrier to entry is very high. That actually couldn’t be further from the truth. Technology over the last several years has brought home security to a price level that anyone can afford. Competition in the home security camera industry is fierce and there is a strong demand for affordable but high-quality home security cameras. You can expect to spend anywhere from between $25 to $250 for a home security camera. The more features available the higher the cost and there are also other expenses when it comes to determining how you store the footage the camera records. There are two primary storage methods to choose from, micro SD card storage or cloud storage. There are benefits to each storage method such as micro SD cards offer a physical backup copy that does not need an internet connection to store while a cloud service will require an internet connection to store the footage on a server located elsewhere. This is the first place to start when considering which camera to buy. Determining which storage method you will primarily use is key in finding the right security camera. The benefit of the cloud is that if your device is stolen, you will still have access to the footage the camera recorded. Also, a micro SD card is a one time expense while a cloud service is a monthly service. The micro SD card storage is an ideal option if you don’t care about storing video forever since you can simply reformat the card and fill it up again. A micro SD card also allows the peace of mind of knowing that you can access the security footage even without an internet connection. On the other hand, if you would rather just setup up the camera and never worry about touching it again, a cloud service is ideal and you will not have to worry about running out of storage. A micro SD card is not included with a home security camera and must be purchased separately but it is a one time expense. Cloud storage is also a separate expense but it is an ongoing cost that will require monthly or yearly payments. The perfect security camera for your home depends on what you want from your home security camera. There are several cameras that offer overlapping features but have slight advantages and disadvantages that might not be apparent at first. Once you have decided if you will be using micro SD or cloud storage, it is time to consider the resolution. The higher the video resolution, the better quality it will be able to record which can be important in the event of a crime. You will also want to consider the type of phone or computer you will be using to monitor the device. 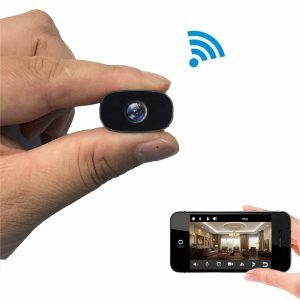 Compatibility with both Apple devices and Android devices has become a staple and virtually every home security camera comes with an app that works on both devices. 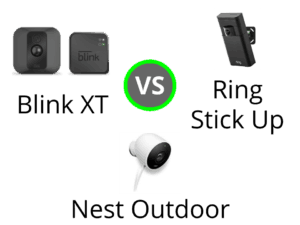 Some other important features include night vision, two-way communication, and whether it is wired or wireless. With recent technological advances in storage technology, home security has become much more affordable and the YI 1080p Home Camera is a perfect example thanks to its micro SD storage ability. The YI 1080p Home Camera features a micro SD memory card for storing recorded video. It supports any Class 10 micro SD card in the FAT32 format. Thanks to the built-in compression technology, it can easily record for a week straight without filling up a 64GB micro SD. Although the YI 1080p Home Camera can record footage to the YI Cloud, the micro SD card local storage provides a way to store the footage even if your internet connection goes down. The footage is crisp and clear, even if recording in the dark thanks to 8 individual 940nm infrared LED’s. One of the best features of this camera is its ability to automatically turn on the infrared LED’s in low-light conditions giving you peace of mind around the clock. The YI 1080p Home Camera is compact and no larger than a webcam. It features a stylish white casing and a 112-degree wide-angle lens. It records in 1080p at 15 frames per second which provides an optimal image without sacrificing micro SD storage space. The micro SD card offers continuous recording as well as activity detection recording. The YI 1080p Home Camera is easy enough to use for anyone and can provide a way to keep an eye on your home while you’re away. Whether you are a wanting to keep an eye on your pet or using it as a baby monitor, everyone from parents to professionals can benefit from the peace of mind the YI 1080p Home Camera offers. It even has a built-in Baby Crying Detection technology that will send you an alert at the first cry. The Wyze Cam 1080p HD Indoor Wireless Smart Home Camera with Night Vision is compact and features a micro SD card for local storage which is sold separately. The Wyze Cam boasts a 2.8MM 110-degree wide angle lens for recording clear video in 1920x1080p resolution with 8x digital zoom. Thanks to the micro SD card storage function, the Wyze Cam is capable of continuous recording as well as motion and sound detection modes. It also features Smart Sound Recognition capable of recognizing smoke alarms and CO monitors to alert you in the case of an emergency. The Wyze Cam comes in a sleek white and gray with a compact, square casing. It also comes with a folding mount which can be mounted on multiple surfaces including walls. It utilizes a magnetic base and an adhesive metal plate for mounting the Wyze Cam without requiring any screws. The Wyze Cam supports micro SD cards of various sizes offering the ability to store several days of footage without having to worry about the micro SD card filling up. This is ideal when using the continuous recording mode and in the event that your micro SD card does become full, it is easily switched out for a new micro SD card. The Wyze App is available for both Android and iOS devices and allows users to easily view the feed. One of the most unique features of the Wyze Cam is its ability to interface with Amazon Alexa allowing you to easily control it with the sound of your voice. The Wyze Cam is ideal for parents seeking to use it as a baby or pet monitor but can just as easily serve as a full-time security camera for monitoring your home or business. Simply insert a micro SD card and enjoy the peace of mind the Wyze Cam offers! The TENVIS HD IP Camera is a wireless surveillance camera with night vision that is capable of recording directly to a micro SD card. The TENVIS HD IP Camera boasts a 355-degree horizontal viewing range and a 120 vertical rotation that offers the ability to record 360 degrees. It records in 1280×720 megapixels through a high-tech optic lens. You can even preset up to 8 specific positions to the camera’s memory so you can view any part of the room with the push of a button. It comes equipped with automatic night vision that utilizes 11 infrared LED lights capable of seeing 32 feet in the dark. There are no annoying wires to deal with thanks to the 802. 11b/g/n 2. 4Ghz Wi-Fi band with a boosted signal antenna capable of up to 50 feet of range. Another helpful feature of the TENVIS HD IP Camera is the ability for two-way, real-time communication. When it detects motion, the TENVIS HD IP Camera will record a 15-second video to your micro SD card. You can mount it on a flat surface, wall, or even ceiling. The TENVIS HD IP Camera has a sleek white finish and a tinted black casing around the lens. Because of the two-way communication, the TENVIS HD IP Camera is an ideal candidate for a baby monitor. Even if there is background noise, the built-in microphones noise cancellation gives you the ability to communicate clearly, even in an emergency. Since it can be mounted on a ceiling, it is also ideal for use as a security camera for a small business or home thanks to its wide range of coverage. Simply insert a micro SD card with up to 128GB of storage to record for up to a week straight and monitor your home or office from your smartphone. The Wansview Wireless Security Camera is an ideal option if you’re looking for a compact, HD, surveillance camera with a micro SD card storage slot. It is easy to plug in the 8-foot power cord and set up the IP network 2.4GHz wireless connection. Simply download the Wansview app on your smartphone to set up the Wansview wireless security camera. The Wansview app is compatible with both Android and iOS smartphones. It captures crystal clear, HD video in 1080p resolution with a 60mm lens that gives a 120-degree viewing angle. You can insert up to a 128GB micro SD card to store days and days of footage without having to worry about filling up or switching out the micro SD card. The Wansview wireless security camera has a sleek and streamlined design that is not going to be an eyesore and will blend in most rooms thanks to its glossy white shell. It is great for monitoring your home and keeping an eye on your children or pets. You can even check in on them and let them hear your voice with the real-time, two-way communication feature. The Wansview wireless security camera offers round-the-clock peace of mind thanks to the 24 automatically activated infrared LED lights which a 20-foot range in the dark. If an intruder is lurking in your home, the Wansview wireless security camera will see them and automatically record to the micro SD card. View the feed on the go with the Wansview app on your smartphone or tablet and enjoy the peace of mind that having an extra eye on your home will provide. This is one of the most compact and lightweight home security cameras on the market and you won’t find a better value for your money. he REOLINK Argus 2 outdoor wireless security camera is a whole lot of technology packed into a tiny camera. You may be wondering why would leave an expensive and high-quality camera like this outside, but there is actually nothing to worry about thanks to the IP65 weatherproof camera casing. The REAOLINK Argus 2 also has a rechargeable battery that can be fully charged in just 4 hours by the universal 5v 2A phone adapter that is included. Simply tighten two screws into the base of the REAOLINK Argus 2 and you’re done, there are no wires to deal with. It also features support for micro SD cards up to 64GB and records in 1080p with a 130 degree viewing angle and REALINK’s Starlight Color Night Vision that see up to 33 feet. The weatherproof casing has a glossy white finish with a black lens and infrared LED housing. The REOLINK Argus 2 outdoor wireless security camera can be set to record only when it detects motion and will automatically send you an alert. This is an ideal option for the home security enthusiast or even small business. The camera’s fixed lens can give a wide angle for locations such as backyards, driveways, or porches. If you need to broadcast a message, simply use the 2-way audio feature to say greet a guest or give a warning to a potential intruder. All communications and images will be stored to the local micro SD card and can be viewed remotely. And don’t forget, the REOLINK Argus 2 can be used both outdoor and indoors to the same effect but it should be noted it does not include a solar panel, power adapter, micro SD card, or 24/7 recording. The Arlo Pro wireless home security camera system with siren brings peace of mind that many cameras don’t because it comes with a 100 decibel, wireless siren. The siren can be both motions activated or controlled remotely to scare off any intruders and wake you up. 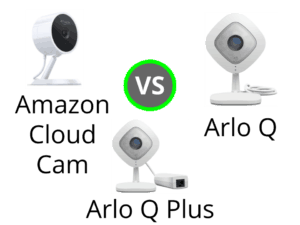 Some other great benefits of the Arlo Pro wireless home security camera is it’s micro SD storage, Amazon Alexa compatibility, and weather resistant casing that allows both indoor and outdoor functionality. It records in both day and night conditions with an 850 nm infrared LEDs that can illuminate up to 25 feet. The Arlo Pro can be set up easily both as a monitor with its 2-way audio and push to talk feature. Communicate with children or pets in another room with ease while keeping an eye on them, or set it up outside to act as an alarm when it detects motion at night. It records up to 1280×720 resolution and can stream or view recorded footage for up to 7 days. The Arlo Pro has a glossy white casing that is extremely compact since the siren is separate. This gives you the ability to set the siren up to warn those inside the home when an intruder is detected outside or you can leave the siren hidden outside to deter intruders or unwanted animals. Another great benefit of the Arlo Pro wireless home security camera system is its built-in compatibility with Amazon Alexa, Echo, Show, Fire TV, and Google Assistant, IFTTT, and Samsung SmartThings. Have peace of mind with this fully configurable home security camera with included wall mount and siren.